THE National Planning Framework 2 (NPF2) will guide Scotland’s spatial development to 2030, driving forward the Government’s Economic Strategy, by identifying key priorities for investment. Members of South Ayrshire Council’s Leadership Panel approved the Council’s considerations of the NPF2 as the basis for the Council’s response to the Scottish Government. 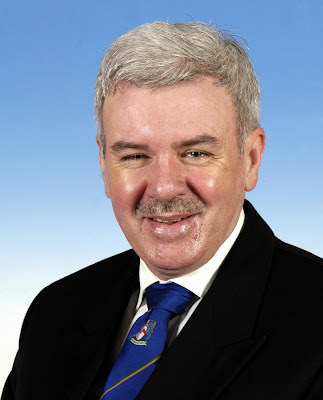 Speaking about the NPF2 Councillor Peter Convery (pictured above) the Council’s Portfolio Carrier for Sustainability and the Environment said: “This is all good news for South Ayrshire and the west of Scotland. The document indicates the likely content of the NPF2 when it is published in revised form and it clearly demonstrates that the Government has listened to our suggestions to improve the document. “The changes proposed to the Framework will bring environmental and economic benefits, leading to sustainable development regionally and across Scotland. “I am particularly pleased to see the inclusion of Prestwick Airport and associated rail improvements that will contribute to economic development and strengthen links to other parts of Scotland and the world. They will improve infrastructure in the west of Scotland and enhance the national infrastructure. 1. Glasgow Prestwick International Airport, the Loch Ryan Gateway Port and the Central Scotland Green Network. 2. The acknowledgement that the environmental effects of expansion at Glasgow Prestwick International Airport are less than at other Scottish airports and inclusion as a National Development is strongly supported. 3. The designation of the Loch Ryan Gateway Port as it would also refer to road and rail improvements along the A77 corridor and enhance strategic internal connections as well as links to Ireland. Planning authorities across Scotland are required to take the Framework into account in preparing development plans that will be a material consideration in determining planning applications. In February 2008 South Ayrshire Council expressed disappointment that only one proposed national development affecting South Ayrshire, and Ayrshire as a whole, had been included in the Framework. NPF2 is currently being redrafted to take account of representation made during this period by the Council and other interested parties. There are currently 387 Ayrshire business stories permanently archived on this site. To locate those of most interest to you, please use the site search facility in the top left hand corner of this page. Type your search term in the white box, then click “SEARCH BLOG”.